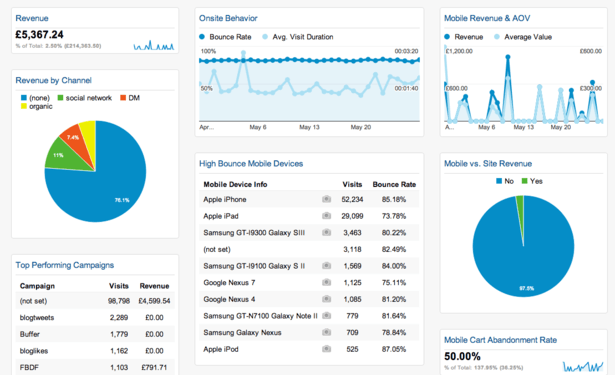 Google Analytics: the main digital marketing tool. Anyone who wants to improve their positioning should work with it. The reason is simple; we find all the information about our website. You can know the number of sessions, the time they spend on the web or the number of leads you have gotten. It is important to know that information in order to improve the results. The more you know, the better you can act. 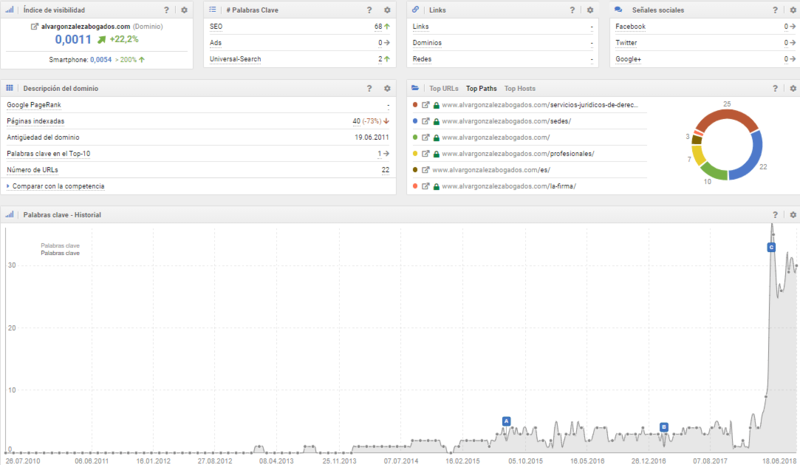 In the following image you can see the main board of Google Analytics. ScreamingFrog: this tools isn’t very famous, and it’s very important to do a benchmark. Thanks to this you can know the keywords, and meta tags your rivals use. Have a Free study that studies up to 500 URLs of a website. SemRush: one of the most used tool in the digital marketing world. It indicates the global ranking of your web, as well as a comparison with your most direct rivals.It will make you an analysis of the domain; it will indicate for example the traffic, the backlinks or the keywords you have. It’s a very useful and complete tool. Sistrix: Currently has taken the market from Semrush. The reason for its fame is derived by the index of visibility it incorporates. The general functions are the same as SemRush, but that index visibility makes it unique. Sistrix gives a value to your website based on you keywords ranking and the traffic that the keywords attract. A great tool to improve your website SEO, being one of the most digital marketing tools used. The following image shows the variations in the visibility index of a web page. AWRcloud: is a very useful tool to know the ranking of the keywords you are interested in. It’s very useful especially to see the local SEO. You give a list of keywords to the tool and every week or 2 weeks it will tell you their ranking. Ahrefs: with this tool you will be able to know the backlink of your web page. With the passage of time has lost weight against other more complete tools, but in this section is the king. You will be able to know what links and domains point to your website, as well as to know possible broken links. Gtmetrix: This tool is very useful to know the loading speed of your web. It is divided into 5 sections. There is a very complete Free-Version, so it is not necessary to make an account, but it is advisable to receive more tips. Here is an example of how this tool shows the status of your website. Google Speed Insights: like the previous one tells you the loading speed of a website. It is a very demanding tool and it measures both mobile phones and computers. 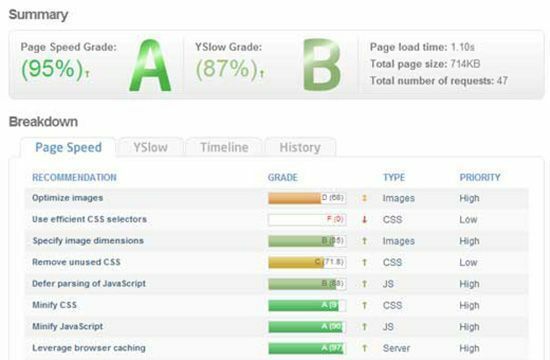 TestMySite: tool specialized to know the optimization of a web for mobile devices. It is useful to know if your website has a mobile and responsive design. 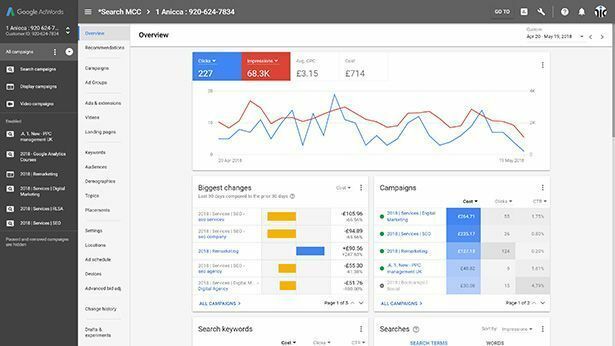 Google AdWords: the king tool of paid campaigns. In Spain more than 90% of the campaigns on the internet are developed in this program. You can perform 9 different types of campaigns. Later we will make a detailed study of this great tool. 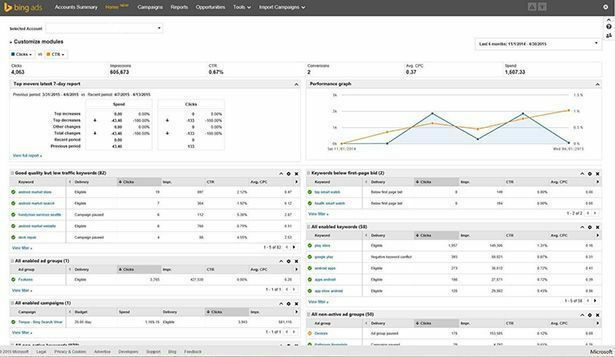 In the following image you can see the Google AdWords dashboard. AdWords Editor: the Google Adwords tool itself but as a downloadable program. You can carry out your campaigns calmly and when you have them ready, you upload them. It is quite useful if you have internet problems or if you do not want to have problems when you are making big changes. KeyWord Tool Planner: this tool is part of Google AdWords, but it must be treated separately. With it you can find out the search volume of your selected keywords. It also shows you alternatives to your keywords. You can’t miss this tool to carry out effective online campaigns. Bing Ads: Google AdWords is becoming more expensive every day, just the opposite of Bing Ads. Obviously the traffic is much lower, but my experience tells that the campaigns on this platform are quite effective, cheap and with a very high CTR. In the next image I show the Bing Ads board. Keyword Wrapper: a very useful and easy to use tool to get keywords related to the ones you have. You can create a list of keywords in a short time. Phrase Builder: with this tool you will form phrases where your keywords are included. It is useful to get ideas for headings or titles. Hootsuite: the most famous and complete tool. It is a very simple tool, is easy to master it. In addition, it offers a variety of functions such as writing updates, shortening links or monitoring words. You can manage all kinds of accounts, like Facebook, Instagram Twitter or Linkedin. There are both paid and free versions. In the following image the main Hootsuite dashboard is shown. Tweetdeck: It is a tool only valid for Twitter. You can manage multiple accounts from a single control panel. It’s perfect to manage multiple profiles and control notifications, mentions or tweets. Easy to use and learn, also it’s totally free. Agora Pulse: this tool offers the management of several social networks. You will be able to make a great follow-up of interactions, analyze statistics or program new posts. The great advantage of this tool is that it will tell you the best time and the best day of the week to publish. You can use a trial period, the cheapest price being $ 49. It’s a highly advisable tool. In this last image, we can see the Agora Pulse dashboard. Audiense: We finished our list of digital marketing tools with the one previously known as SocialBro. It is one of the most useful tools to manage Twitter profiles. It allows you to analyze who are your followers and their activity hours. Recognize influencers, monitor hashtags or create automatic responses is possible with this social media tool. I trust that with this list of 19 digital marketing tools you can get more out of both your website and your social networks. Later I will make a specific article of tools to improve SEO, to optimize campaigns and to improve the use of social networks. If you know more digital marketing tools, do not hesitate to share it with us, we’ll thank you. See you in the next article! What is a CRM for? Why use Google Tag Manager on your website? How to get a good web design? Why do Facebook Ads campaigns?